Although professional golf has come and gone at Harding, it is amateur competition that has kept the legend of this storied links alive. And despite the fact that the national public links championship is the pinnacle for a municipal facility, the two USGA events in 1937 and 1956 are not Harding’s true signature. That high honor belongs to the San Francisco City Championship, inaugurated in 1916 with the opening of Lincoln Park, and later shifted over to Harding following its opening in 1925. “The City,” as the local championship is known, is the oldest consecutively played competition in the world. Even the British Open – golf’s oldest championship, which began in 1861 – took time off when the world was at war. So did the U.S. Open, the PGA Championship and the Masters, the other events comprising the modern “Grand Slam.” So did virtually every other major event. Not so, the City. Players have trudged through rain and mud for 86 consecutive years, even while American troops were engaged on foreign battlefields. In one sense, the real combat took place at Harding Park, as golfers, not unlike Gary Player in the 1961 Lucky International, “muddled through it.” The City Championship is as diverse as San Francisco itself. Hackers hitting the ball sideways play alongside more accomplished golfers who bomb it down the middle. There are flights for all abilities, but the Championship Flight is the one that grabs the headlines. It is there that many of the great ones cut their teeth. Ken Venturi, Johnny Miller, George Archer and Bob Rosburg, to name a few, all started their competitive careers trying to win the City Championship. Even Tom Watson, while a young psychology major at Stanford took a crack at it. But only Venturi and Archer among them was successful. Women, too, have played a prominent role in the City Championship. Before she became a two-time U.S. Women’s Open champion, Juli Inskster was a two time City champion. Other past winners include present and former-LPGA members Jan Ferraris (a four-time champ), Shelley Hamlin (a three-time champ), and Dorothy Delasin. In addition, former Curtis Cupper Pat Cornett-Iker has won the women’s title three times. 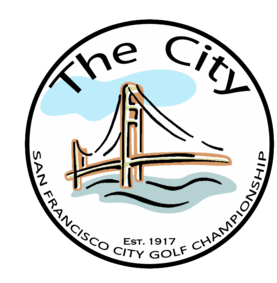 Despite the passing of time, knowledgeable locals still talk about the many Bay Area greats who, although virtually unknown outside of San Francisco, are nevertheless a treasured part of the course’s history. Players such as Charlie Ferrera, Jim Molinari, Bob Silvestri, Cy Pennel, Bill McCool, Frank Mazion and John Susko, champions all. In the present day, two golfers stand out from the crowd: Gary Vanier, an ex-Stanford player who has won the men’s championship a record six times, and Sally Krueger, who is the most successful player in the history of the City Championship. She has won the women’s title an incredible ten times. Although the players have been many and the years have rolled by, there is one single match that typifies the mystique that is the essence of Harding Park. It is the championship contest of 1956, when Ken Venturi won the City Championship for his third and final time. That one match attracted over 10,000 fans. It made the front page of every daily newspaper in San Francisco. It was an epic duel that captivated the City, for 1956 was a time when San Francisco had no major league baseball team, no NBA franchise, and only three television stations. But the City did have the two best amateurs in the world, and they butted heads for a title only one of them could win. Venturi was a Walker Cup player who came within an eyelash of winning the 1956 Masters. Ward had already won the British Amateur and was the reigning U.S. Amateur Champion (he would successfully defend his title later that same year). He was also the defending City Champ, having taken the title while Venturi was busy fulfilling his military obligations. When they met at the first tee, Venturi shook Ward’s hand firmly and declared, “Harvey, I’ve come to take my City back.” And he did, vanquishing Ward 5 & 4. People who were there remember every shot, and they talk of the match as if it took place yesterday. Harding Park has that kind of an effect on people. Whether it’s the fog drifting in off the ocean, the twisted branches of a cypress tree lining one of her majestic fairways, the echo of a gallery from long ago, or simply the undulation of this rolling, beguiling golfing ground, Harding Park is a taste that lingers. It always has. It always will.